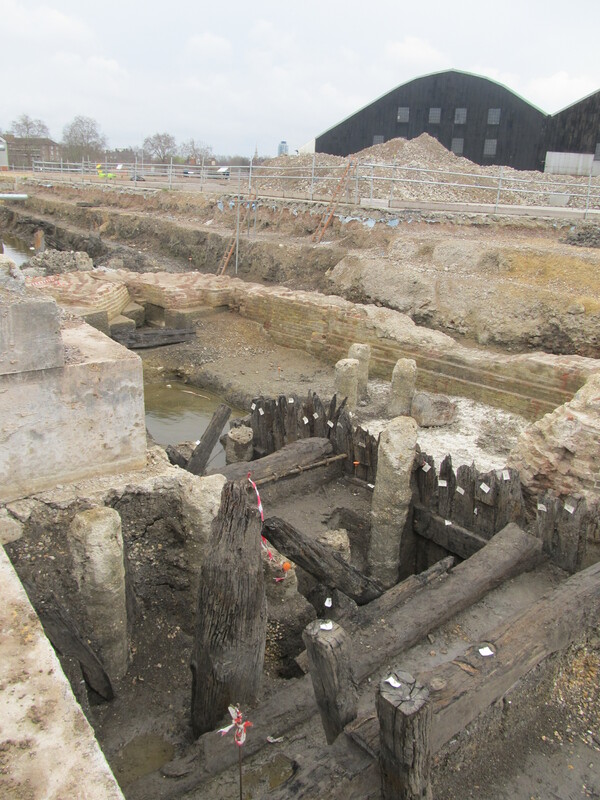 Deptford was a NDS conference theme in 2013, marking the 500th anniversary of the foundation of the Thames yards by Henry VIII. 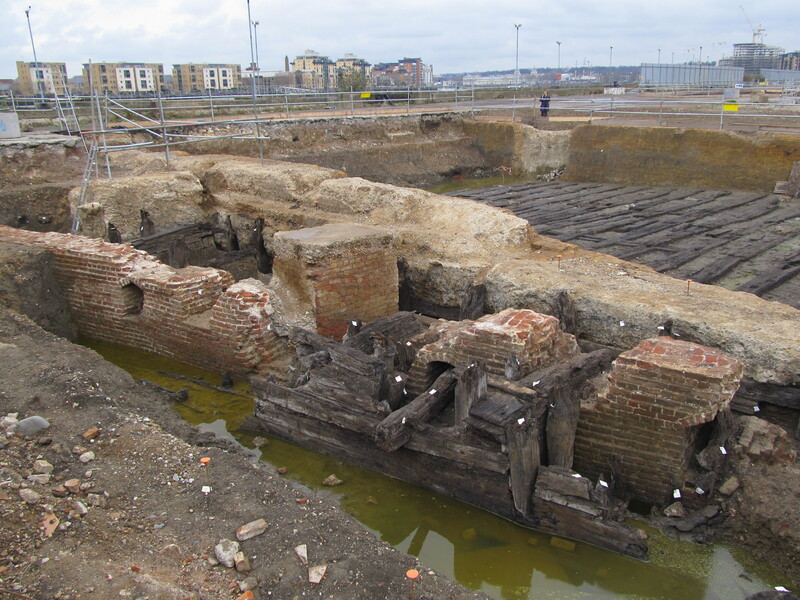 The south and east parts of the dockyard lie on a gravel headland, while the north and west parts are on deep alluvial clay deposits associated with a Thames tributary, the ‘Orfleteditch’. A former mouth of this river, first recorded in 1279, formed a natural tidal dock in the riverbank which became the Dockyard Basin by 1517, while the dry gravel headland was the foundation for the Tudor storehouse in 1513. Deptford Dockyard dominated both the waterfront and the local economy until it was closed in 1869. Recently the site imported newsprint, with proposals to redevelop the site submitted since 2004 (see Campaigns). 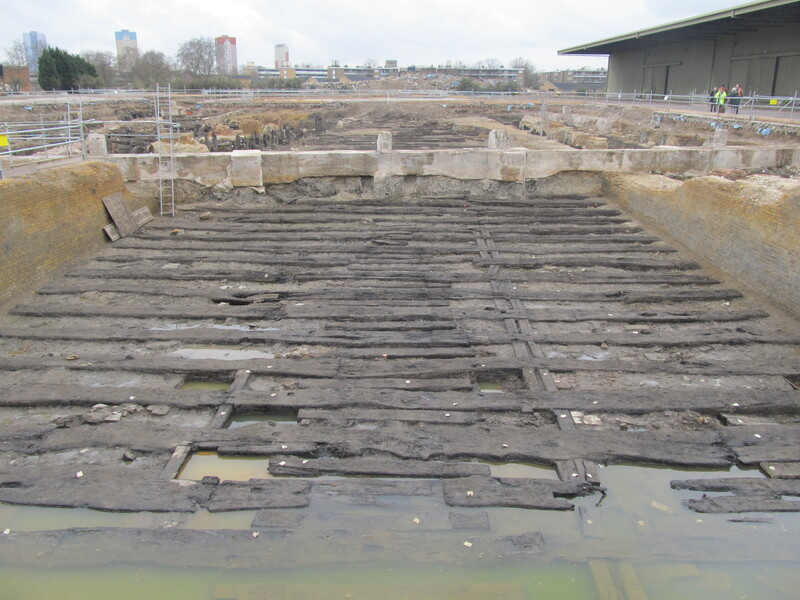 The 2013 Deptford and Woolwich Conference papers will be published in Philip MacDougall, ed., Transactions of the Naval Dockyards Society, 10, Five Hundred Years of Deptford and Woolwich Royal Dockyards (2015). Photos taken by David Davies in 2013. 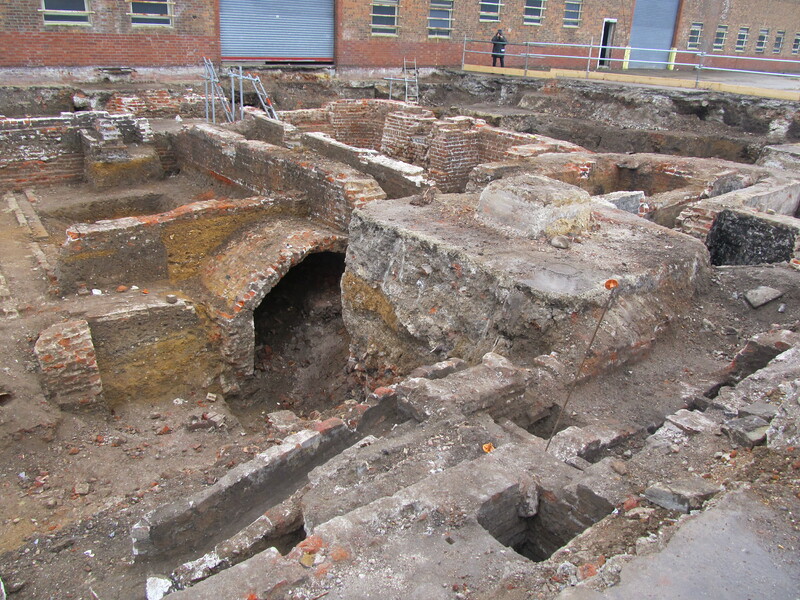 Foundations of Deptford officers’ terrace. Image by J. D. Davies. Olympia Slipshed (1846) with the Basin in the foreground. Image by J. D. Davies. 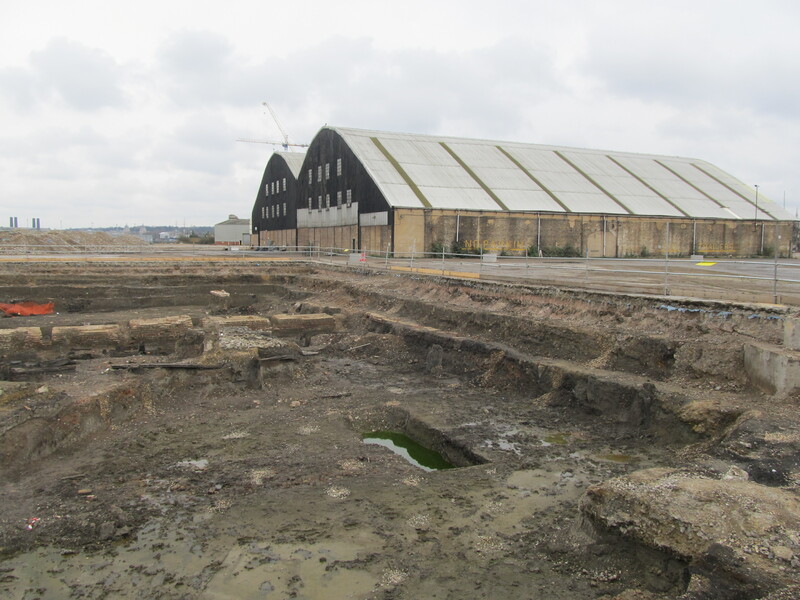 Storehouse foundations with the timber slipways behind. J. D. Davies. Timber slipways. J. D. Davies. Successive Basin structures of timber (C16) and stone by John Rennie (C19). Image by J. D. Davies.